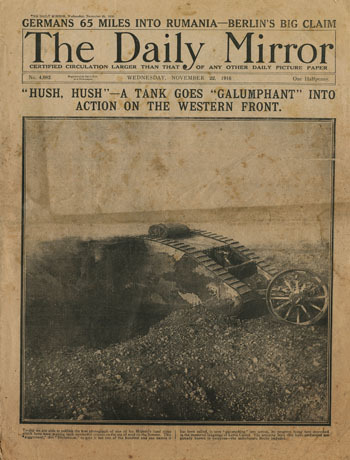 The tank first went to war on 15 September 1916 – but it wasn’t until 22 November that the British public got their first glimpse of this new secret weapon in the Daily Mirror. The nation became obsessed with the tank, but no one had any idea what it looked like until The Daily Mirror published the first ever photo of the ‘landship’ in action at The Somme. The newspaper paid £1,000 for the exclusive – equivalent of almost £100,000 today – to be given to charity. Daily Mirror, Front Page, 22 November 1916. At last! 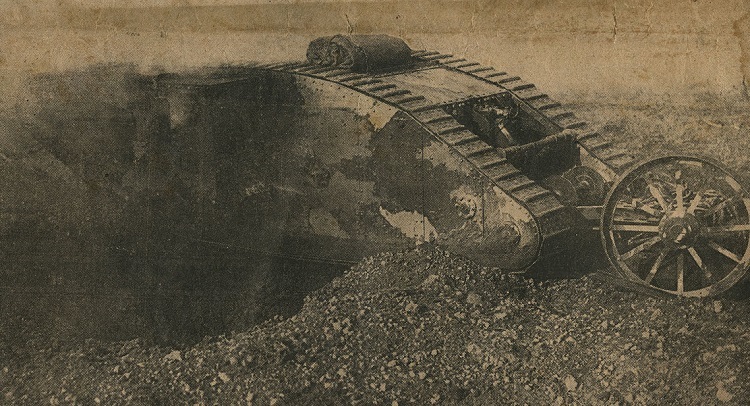 Today we are able to publish the first photograph of one of his Majesty’s landships, which have been making such successful cruises on the mud on the Somme. They are the first to be published in any British newspaper… This “juggernaut”, this “Diplodocus”, to give it but two of the hundred and one names which have been conferred upon it, was seen “galumphing” into action, its progress being best described in the immortal language of Lewis Carroll. 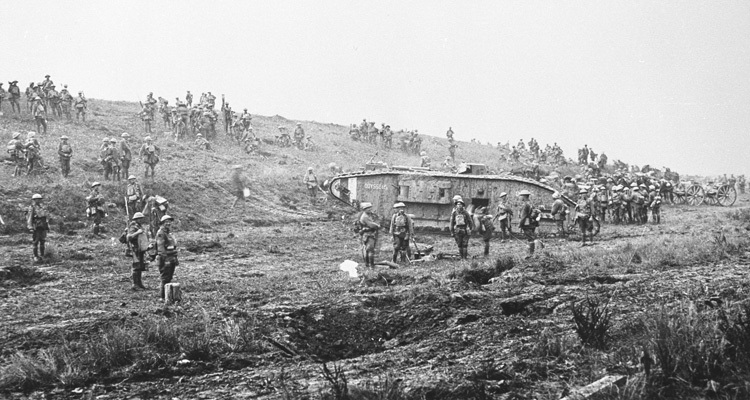 The tanks have been at Flers – one “led” the men down the High Street – and many of the important battles of the great “push” in France. 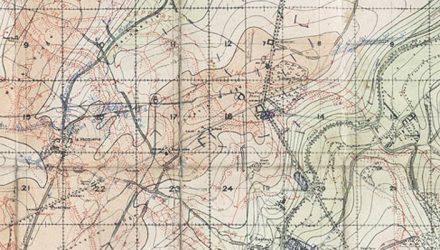 Before them barbed wire becomes as limp as macaroni, while they mow down trees and pass casually over trenches, dealing out death as they go. The tank in the photo was Tank C5 – nicknamed Crème De Menthe. 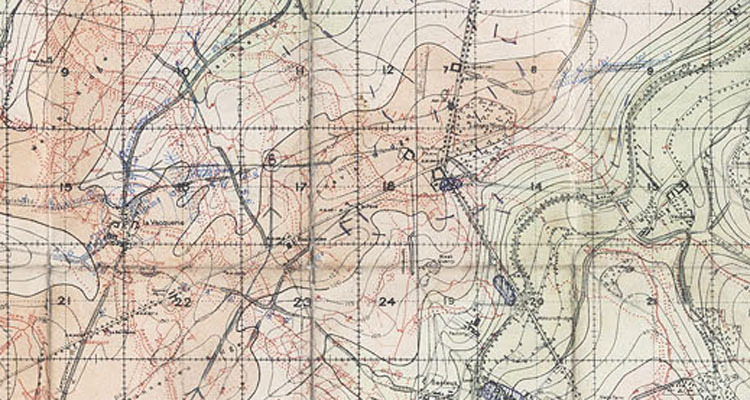 It was under the command of Captain Arthur Inglis and the crew survived this first attack having achieved their objectives: destroying an enemy garrison and machine gun nest. 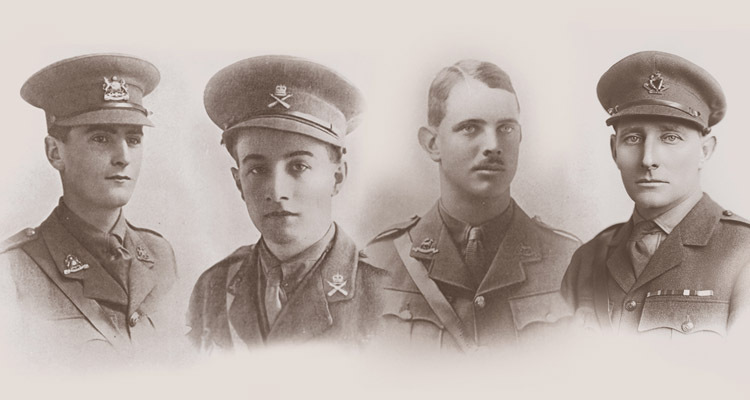 Inglis also won a DSO for his work that day. 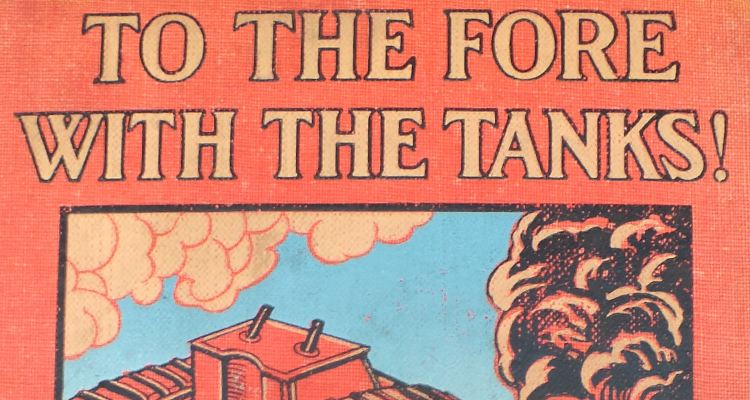 You can see the world’s only surviving Mark I tank at The Tank Museum in our Trench Experience. Hear David Fletcher on the Mark I in Tank Chats here.